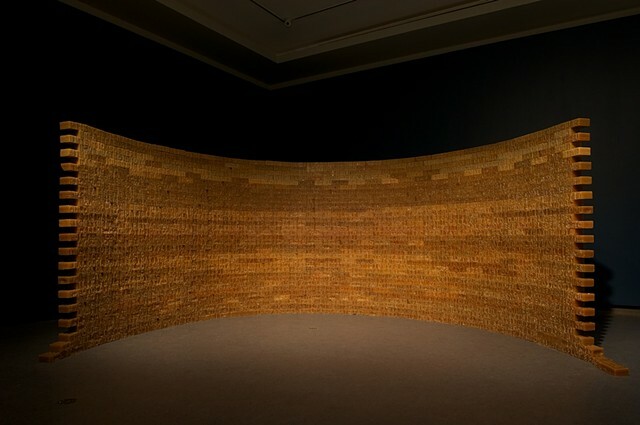 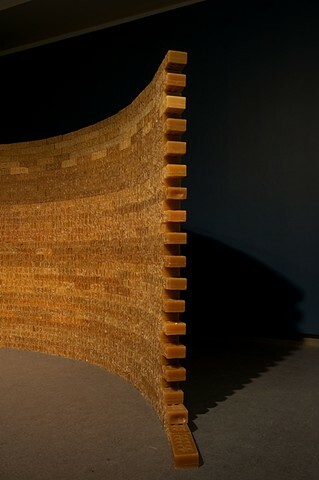 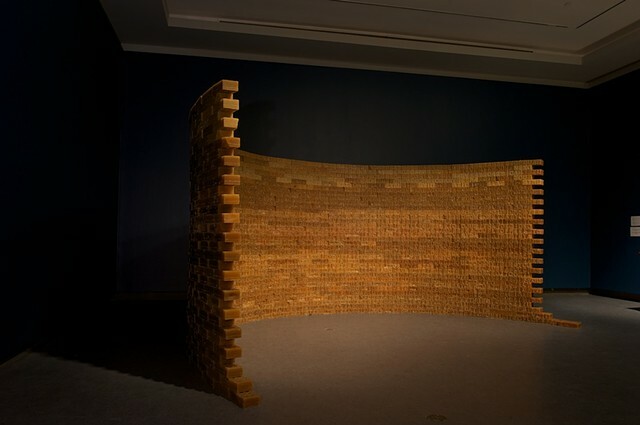 I miss talking to you is a free-standing wall consisting of 1012 bricks cast in wax. 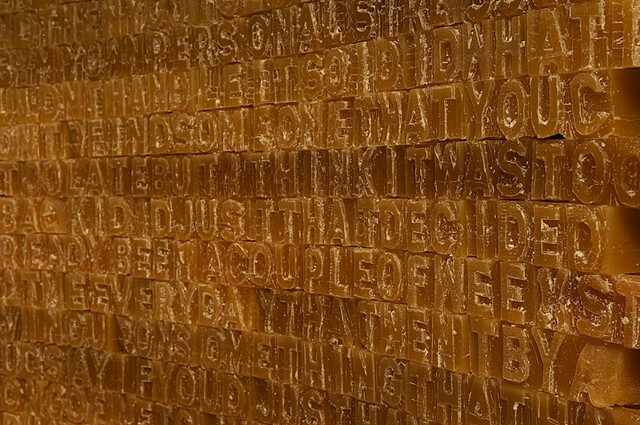 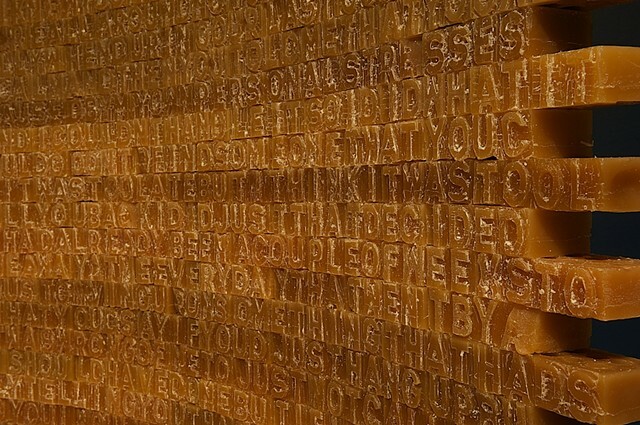 Along one length of the wall the text of a “Dear John” email is carved, word for word, in to the wax creating a physical representation of the barriers built between two individuals. 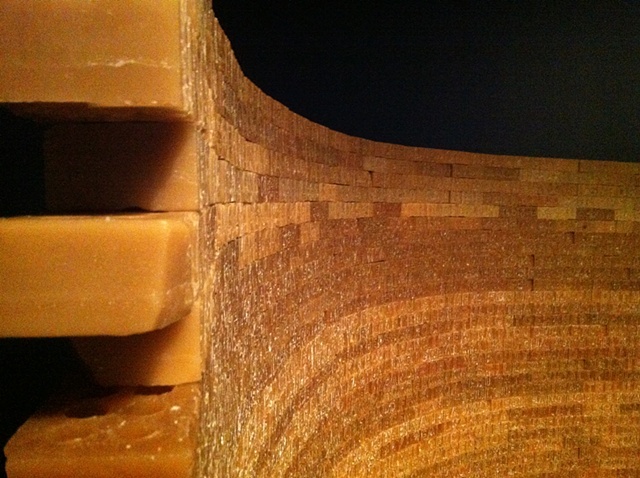 Christos Pantieras greatfully acknowledges the financial support of the City of Ottawa.